Our drum with the hand-painted red dragon was used by a member of the Grand Order of Guisers (GOG) in the 1980's and was generously donated to Anonymous Morris in 2010 by Ted Davies who used to belong to the Grand Order of Guisers. The drum may (but we don't know for certain) have been painted by Dave Lobb, an artist and craftsman, who founded the Grand Order of Guisers in the 1980s, and who made Gogmagog. 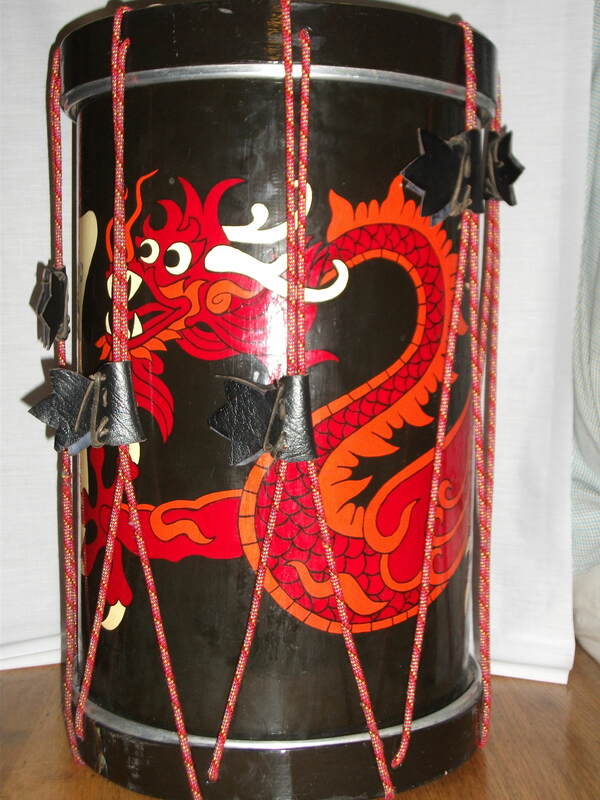 The drum was said by Ted Davies to have cost £200 originally. The motto on the drum reads 'Concerning ye sheep in ye wolfes cloes'. This comment refers to the fact that Guisers in costume can look more scary than the actual people behind the mask. Drumming and whistles were used when Gogmagog, a giant carried by 10 people and over 20 feet tall was processed through the streets of London, Brussels, and in France and Spain. The way to get over 20 people to keep in time was to drum and whistle to the rhythm of well known nursery rhymes. Changes of rhythm were effected by the leader simply calling the new rhyme. 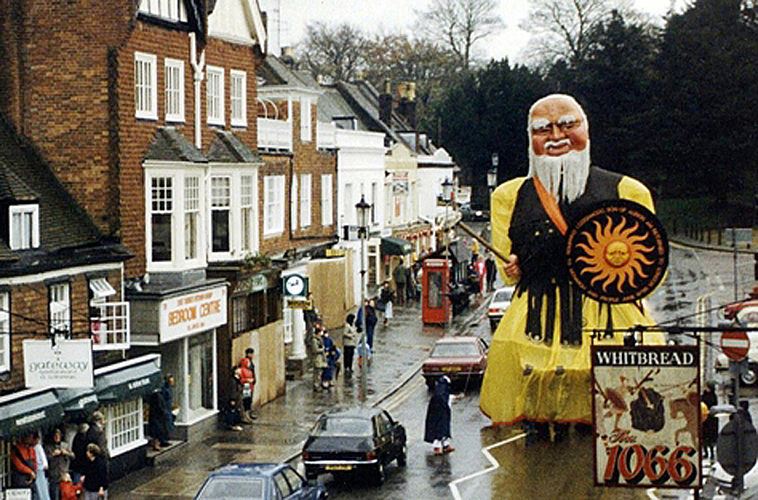 Gogmagog, was paraded through Battle High Street for the 300th Guy Fawkes celebrations in November 1986. He took three years to build, was 28 ft tall and it took 10 porters to carry him. Lobb drew his inspiration from the two giants, Gog and Magog (carved by William Goos), who welcomed Henry V back from Agincourt. 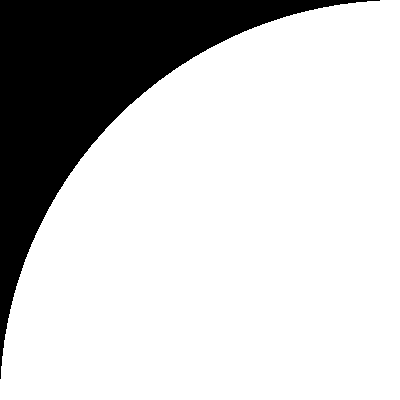 They originally appeared in Abrahamic scriptures and have been adopted by religious and pagan belief systems ever since. In the annual Lord Mayor's Show they are depicted as guardians of the City of London. In 2015, the drum was restrung by Dave Marcus with black cord and the top drum ring replaced (the original ring had broken at some time in the past and the repair had left the ring a little warped).